CHICAGO, Ill. – Even with all the recent attention focused around the roll-out of the Affordable Care Act, Blue Cross and Blue Shield of Illinois (BCBSIL) remains committed to supporting the health and welfare of Special Olympics Illinois athletes by sponsoring the organization’s Inspire Greatness Gala on Saturday, Oct. 26. Blue Cross and Blue Shield of Illinois President Karen Atwood joins as Chair of the 6th annual Gala at the Four Seasons Hotel in Chicago. The healthcare organization is the Gold Medal Sponsor of the Gala. 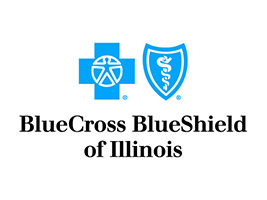 In her role at Blue Cross and Blue Shield of Illinois, Atwood oversees all of its sales and marketing activities; its extensive health, wellness and medical management programs; its health care provider networks and relationships; and its government, public and community relations activities across Illinois. She will lead attendees in paying tribute to the Special Olympics movement and those who inspire us most of all – the athletes. As in previous years, the event is expected to draw scores of Chicago dignitaries and notables, such as father and son basketball legends Doug and Chris Collins and Chicago Alderman Ed Burke, as well as athletes and their families. CBS2 Chicago anchor Rob Johnson is the master of ceremonies. The City Lights Orchestra will perform and we will again have a signature live and silent auction with experiential items, packages for the sports enthusiast and wonderful vacations and getaways. Since its inception, this event has raised over $2.5 million to support the more than 21,300 athletes and nearly 13,000 Young Athletes (ages 2-7) who participate in Special Olympics programs in Illinois. For more information on the Gala, please visit www.inspiregreatnessgala.org. See a complete list of all major sponsors of the Gala. The Illinois Knights of Columbus, Law Enforcement Torch Run and Blue Cross and Blue Shield of Illinois are Official Partners of Special Olympics Illinois. Special Olympics Illinois is a not-for-profit organization offering year-round training and competition in 19 sports for more than 21,300 athletes with intellectual disabilities and nearly 13,000 Young Athletes ages 2-7 with and without intellectual disabilities. Special Olympics transforms the lives of people with intellectual disabilities, allowing them to realize their full potential in sports and in life. Special Olympics programs enhance physical fitness, motor skills, self-confidence, social skills and encourage family and community support. If you are interested in learning more about Special Olympics Illinois, volunteering or providing financial support to help make Special Olympics programs possible, contact your local Special Olympics agency, call 800-394-0562 or visit our website at www.soill.org. This year is the 45th anniversary of Special Olympics which began in 1968 with the first Games at Soldier Field in Chicago; 1,000 athletes from the U.S. and Canada competed in athletics and aquatics. Today, there are more than 4.2 million Special Olympics athletes in 170 countries.